The history of Pink Floyd details the evolution of one of the most influential and progressive rock bands to grace the charts. Pink Floyd broke down musical barriers, experimented with almost every aspect of recording, and has endured as one of the world's top classic rock bands. Vocalist Syd Barrett joined the band in 1965, and heralded in the name change to Pink Floyd. The band became popular locally, and eventually won over fans of the underground music scene across Britain. The best way to learn the history of Pink Floyd is through their albums, which spanned several decades, lineup changes, and styles. 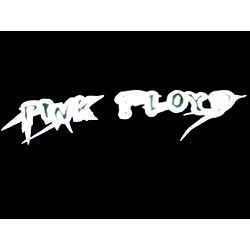 Pink Floyd's first full release came in 1967, called The Piper at the Gates of Dawn. By this time, Bob Klose had left the band and they were now a four-piece. This album featured many new technologies, such as echo sound effects and electronic keyboards, and fared well on the British charts. Lyrics for songs such as The Gnome were eclectic, and the album featured a ten-minute instrumental called Interstellar Overdrive. The band's second release saw the departure of Syd Barrett from the group, as a direct result of his LSD use. David Gilmour was brought in to replace him, and Gilmour, Waters, and Wright shared both writing and lead singing duties. The album was less psychedelic in nature, and became one of the pioneering records in the progressive rock movement. 1969 saw two releases from Pink Floyd: Soundtrack from the Film More, and Ummagumma. The soundtrack album was a mixture of folk music, experimental rock songs, and instrumentals. Ummagumma, on the other hand, was a two-disc set that included a live concert recording on one disk, and a studio album on the other. This was the first Floyd record to break the top 100 on the U.S. charts. Atom Heart Mother was released in 1970. This record is best known for its cover, which is a simple photo of a cow in a pasture. There is no text whatsoever on the front to indicate the title or artist. Members of the band have said that they wanted to experiment with their sound, and not be pigeonholed by labels. The following year, Pink Floyd released Meddle, which included long, winding, instrumental tracks and concept songs. The second side of the original vinyl recording contains only one song, Echoes, which clocks in at over 23 minutes in length. Obscured by Clouds, in 1972, was based on another soundtrack for a French film. In 1973, Pink Floyd released the album that was to be their true legacy, which had been years in the making. It was based on their past concert performances, and used a variety of innovative recording tools which were fairly new at the time, such as tape loops. The album is a solid concept recording, exploring the various life stages and the effects of aging. The cover of The Dark Side of the Moon is the famous refracting prism, set on a plain black background. The record went straight to #1 on the charts, and remained on Billboard's Top 200 for over 14 years. Wish You Were Here came out in 1975, and was a solid follow-up to their previous album. Some of the songs were influenced by the band reflecting on their time with Syd Barrett, who actually showed up in the studio while they were being recorded. It would be the last time Pink Floyd members would see Barrett, who died in 2006. Animals, released in 1977, was loosely based on George Orwell's book Animal Farm. There are only three real songs on this record, Pigs, Dogs, and Sheep, with several different mixes and variations on these themes. The Wall hit record stands in 1979. It was a complete rock opera, which was eventually turned into an elaborate stage show and movie. This is the music that Pink Floyd is best known for, as the album contains the instantly-recognizable Another Brick in the Wall, as well as Comfortably Numb. After The Wall, band members started to pursue solo projects and drift apart. One more album, The Final Cut, was released, before Roger Waters left the band in 1985. The remaining members recorded two more albums, A Momentary Lapse of Reason and The Division Bell. Pink Floyd still tours without Waters, although he does reunite with them for occasional performances.